2017 TVS Jupiter Gets Sync Brake System (SBS) as Standard Feature! Available in a price range of Rs 49,666 to Rs 51,666, the 2017 TVS Jupiter benefits from Sync Brake System (SBS). SBS is basically a Honda Combi Brake System-like feature that enhances the braking efficiency. 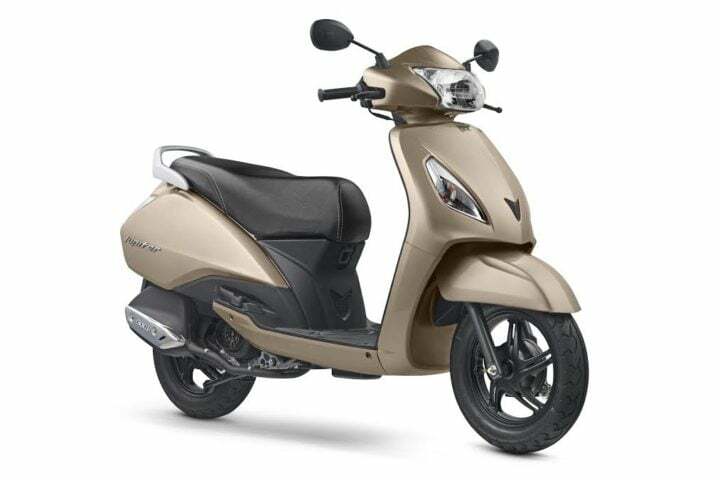 With a claimed mileage of 62 KMPL, the new 2017 Jupiter becomes an even more attractive option in the automatic scooter market. TVS Motor Co. has come up with an updated version of the 2017 TVS Jupiter automatic scooter. The new model benefits from a Sync Brake System (SBS) that comes as a standard feature. The new update follows the launch of the BS-IV compliant version that came earlier this year. The Hosur-based manufacturer has now enhanced the appeal of the Jupiter by providing a Honda Combi Brake System-like SBS technology. Prices remain same as before. You can test ride the updated new 2017 Jupiter at your nearest authorized TVS dealership. Here are all the details on the new 2017 TVS Jupiter Price, Mileage, Specifications and Features along with its new Sync Brake Technology. What is Sync Brake System (SBS)? SBS is basically a Honda Combi Brake System-like technology that helps enhance the braking efficiency of the two-wheeler. Basically, the Sync Brake System employs a reaction relay lever to co-apply brakes in quick succession. This helps in a smooth and evenly distributed deceleration between the two brakes. So, basically, if you apply only the rear brake, the front brake applies on its own to enhance the braking performance and reduce the chances of a fall. It maybe noted that such braking systems will become mandatory from 2018 for all two-wheelers with engine size of 125cc or below. The 2017 TVS Jupiter continues to cost the same. Prices of the Jupiter 2017 start at Rs. 49,666. The fully loaded ZX model, which has a front disc brake, costs Rs 51,666. The Jupiter has a claimed mileage of 62 KMPL. 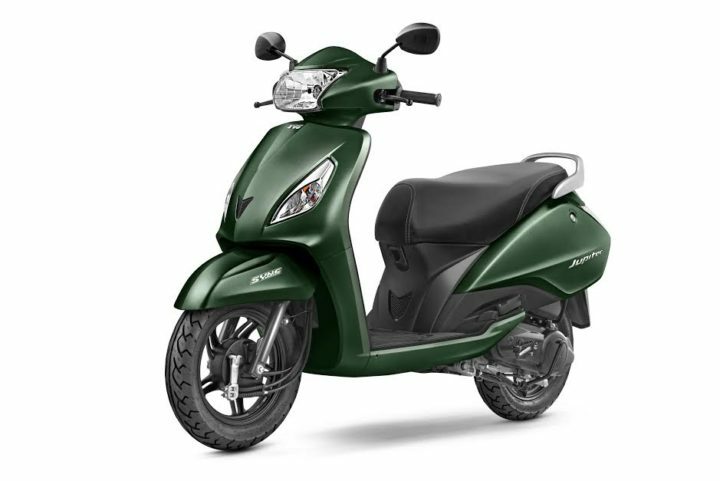 The 2017 TVS Jupiter continues to use the 109.7 cc single cylinder engine. The most notable update here is that the 2017 Jupiter is BS4 compliant. The TVS Jupiter will continue to be available in 8 colours. Stay tuned to Car Blog India for latest news updates on the 2017 TVS Jupiter with Sync Brake System (SBS).